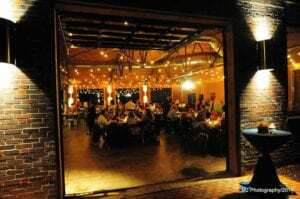 We are back at it with our venue spotlight to share another great venue that is, of course, full of great people! 10 Catawba is located in the idyllic downtown area of Belmont, North Carolina. The site built in 1935 was formerly used by Dixon Ford Company, but today it houses a stunning industrial event space. Its three distinct spaces feature exposed brick walls, original heart of pine floors, a barreled wood ceiling , nd oversized windows. The largest room the Grand Hall can seat up to 288 guests and really is the perfect space for brides seeking an industrial vibe. One of the other great things about the space is it comes with awesome staff who work there. Alex Grellner, who serves as the Venue Manager, has to be one of my favorite people to work with. Her positive attitude is nothing less than infectious. Plus her get it done work ethic makes planning a massive event seem like a walk in the park! She kindly sat down with me to answer some questions about herself and the space that I just can’t wait to share. How many weddings do you generally host per year? We host approximately 38 weddings per year. We had a wedding in 2017 where the bridesmaids carried chalkboard signs down the aisle instead of bouquets. Each bridesmaid had a date on their sign and the significant event that happened to the bride and groom on that date. I also saw a bride and groom have a “private last dance” which was so sweet. After everything was done at the wedding and right before their send off, everyone except the bride and groom left the reception area and they were able to have a private moment to themselves. I love seeing how happy the bride and groom are on the day of their wedding. It makes all of the planning that I do here worth it to just see them so happy on their special day. As a new bride, I can appreciate how much work goes into a wedding and it makes me work that much harder to give them a stress-free, perfect day. Savor every moment of this process. Your wedding day will pass by in the blink of an eye. Spend time together planning, document with cute selfies ,and try to take the time to savor each moment of your wedding day. It goes by so quickly. 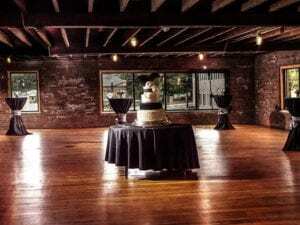 So if your looking for a venue for your big day definitely check out 10 Catawba, we know you will love it and the people there just as much as we do! Want more help planning your wedding, contact Magnificent Moments Weddings! We would love to help plan your event!